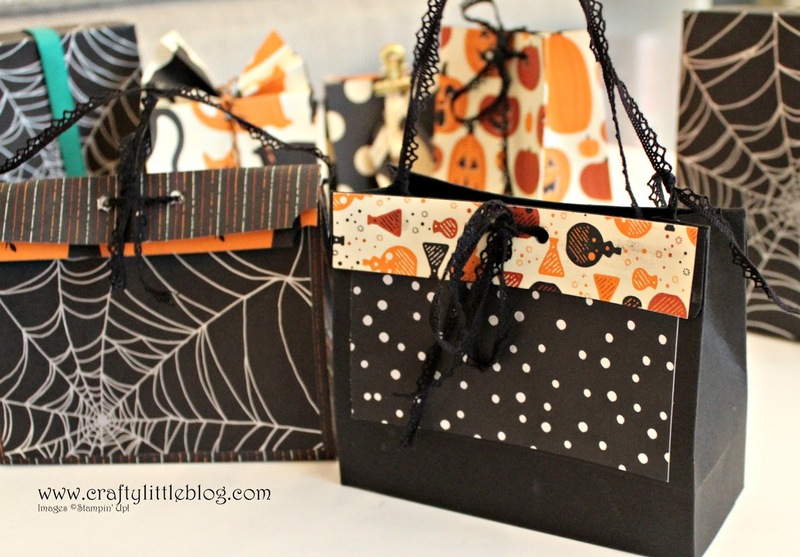 Cute little glamorous witch inspired Halloween treat bags. 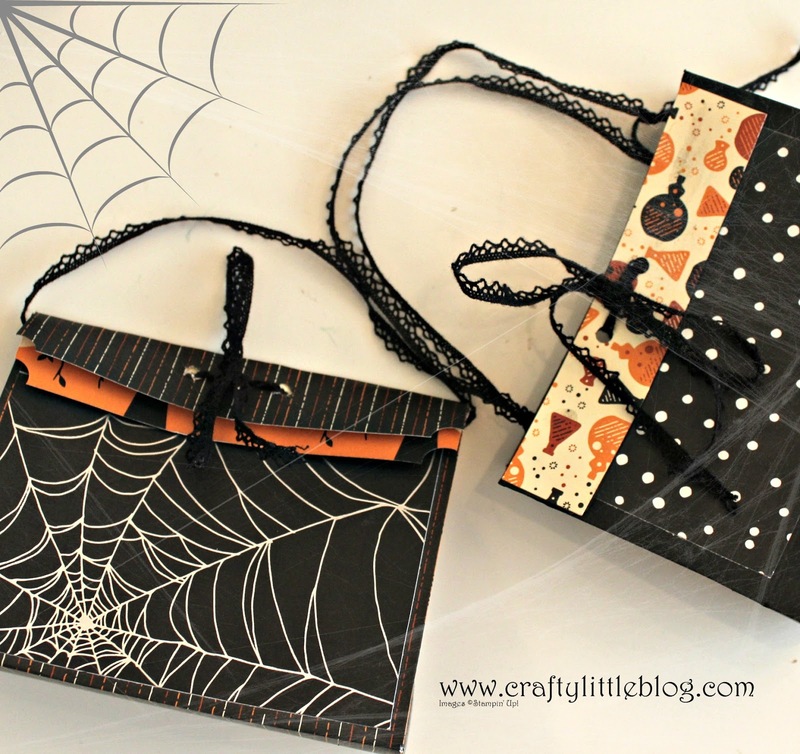 The first I made of these was commissioned and held three Halloween nail polishes but it could be used for anything. I made these using retired and current Stampin' Up! goodies and rather than try to explain how I did it here I'll send you to my You Tube channel to watch the video. I do my usual Tommy Cooper of the papercrafting demo world thing and get into a bit of a pickle but that's just me so I'm not glossing over anything, be sure of that. 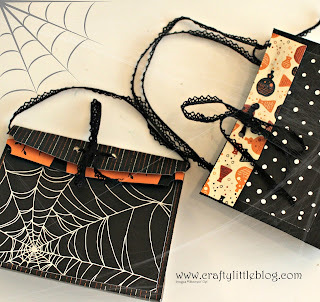 One thing I do have to say is that I LOVE the antique crochet trim.. it's just fabulous for Halloween projects.